Tests are in danger of losing out to more economically viable games of shorter formats. Best value for all stakeholders. It’s a great marketing line for selling cricket. In India the game is in a sellers market and the buyers take anything without a complaint as long as it provides some enjoyment. See how it works. India will play 81 matches at home across all formats in the 2019-2023 Cycle of the Future Tour Programme (FTP) – up by 30 from the previous Programme, but the number of actual playing days for the players has reduced as the Indian cricket board decided to cut down on playing Tests against lower-ranked countries. The number of match days has been cut from 390 in the current FTP (2015-19) to 306. And the two ICC events, World Cup and Champions Trophy, India will host during the cycle are taken, they will still add up 350. The next cycle of FTP will get the seal of approval next month when the chief executives of the board meet. Already, there are murmurs about the Big Three — India, Australia and England — getting away with the cream, leaving dregs for the rest. Yet, Tests are in danger of losing out to more economically viable games of shorter formats, though the Indian cricket Board CEO Rahul Johri insists that economics can’t be the yardstick of the popularity of Test cricket. He talks of the right balance to keep Tests afloat. The Test league has come in handy for the major nations to pick and choose their games. All you need to play is six opponents in two years with a minimum f two Tests a series. That is interpreted as the prerogative of the teams to decide who they want to play and how many Tests. Obviously, India will look at the so-called stakeholders in deciding their opponents as they will look at the broadcasters first, then the players and finally the fans. It is no brainer which team attracts all the stakeholders when it comes to Tests. 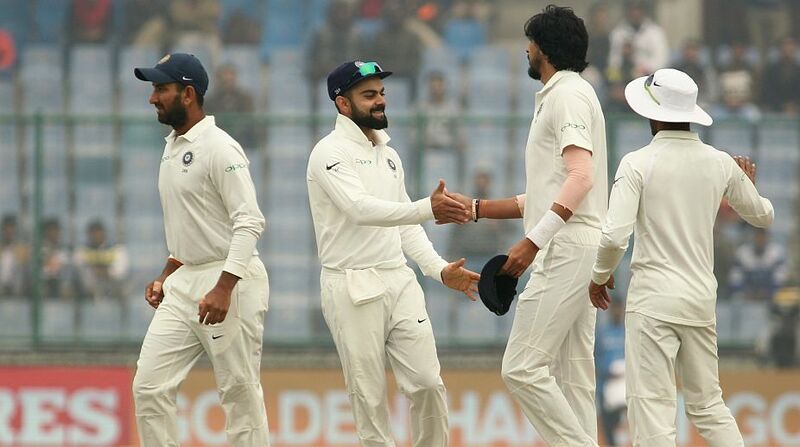 So, India are expected to play 24 of their 37 Tests against Australia, England and South Africa, hosting them in 12 of the 19 home Tests and and another dozen of the 18 in return series. Of course, if they are allowed to play, Pakistan will be the number one consideration for the Indians. Pakistan, once among the top five Test-playing nations, have fallen on evil days. In the four-year cycle they will play 104 matches, with 28 Tests, 38 ODIs and T20s each. They are just above the two new Test entrants Ireland (102), Afghanistan and Zimbabwe 88 each. South Africa, which is not part of the Big Three, will play less Test cricket than Bangladesh! They play 32 Tests as against Bangladesh’s 35 in the new FTP and that works out to eight a year, that’s way less than England’s 46, Australia’s 40 and India’s 37.These numbers are not written in stone, teams can have bilateral series outside FTP. India and West Indies are the two major attractions for ODIs. Both will play 61 games each while Sri Lanka and Australia 48 each, South Africa 45 and England 43. The calmour in India is for more matches at home, protection of its domestic season, essentially in the winter months, like all other countries jealously safeguard theirs. From time to time the Indian board keeps saying that Australia and South Africa should also go out and play overseas during their domestic season just as the others do. For instance, Australia insist on staying home to play their Boxing Day and New Year Tests, they are not willing to acede to the request for playing the two important games in South Africa once in a way. England found a way to get around the issue of staying home for the Christmas-New Year by splitting their tours to the subcontinent, playing Tests before and the shorter formats after the festivities. There is a concern over disinterest among the Indians for Test cricket and it was expressed not only by the Cricket Australia CEO James Sutherland but also the broadcasters who feel it is becoming uneconomical for them to telecast Test matches. The picture will be a lot clearer once the Indian Board sells its broadcast rights in April. It expects it to be of such proportions that the emoluments of cricketers wll be doubled.